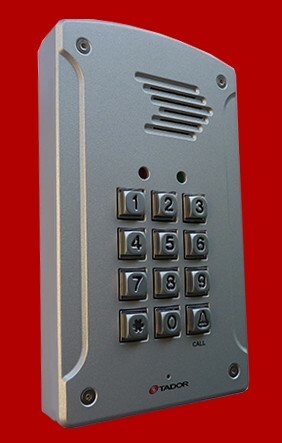 Analog Doorphones panel connects to company or home PBX with keypad or single push button which allows door opening from all telephone extensions or by using a code. Tough case which makes it vandal proof. The Tador analog door phone keypad unit is an intelligent telephone which connects to a PABX, mounted on an office entrance which enables visitors to call any extension or to the reception. Authorized personnel can enter by keying in an access code. On the other side of the system any person receiving a call from the door phone unit can speak with the visitor and open the door from his telephone extension by pressing a particular key. Opening the door from the inside is possible by pressing a bypass push button. The codephone will unlock virtually any electric door lock, electric door strike, magnetic door or gate. It can be plugged into a PBX analog extension or an IP extension via an ATA (analog telephone adaptor) and can be programmed or operated from any phone connected to the PBX. 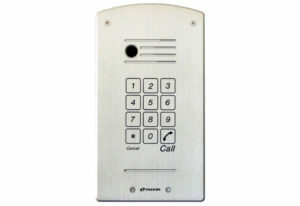 The Tador Single Button analog Door phone unit is an intelligent telephone connected to a PABX, mounted on office entrance which enables visitors to call to a predefined extension. The person receiving a call from the door panel can speak with the visitor and open the door from his telephone extension by pressing a particular key. Opening the door from the inside is possible by pressing a bypass push button. The doorphone will unlock virtually any electric door lock, electric door strike, magnetic door or gate. It can be plugged into a PBX analog extension or an IP extension via an ATA (analog telephone adaptor) and can be programmed or operated from any phone connected to the PBX. The Tador Piezo Analog Multibutton Door phone unit is an intelligent telephone connected to a PABX, mounted on office entrance which enables visitors to call to a predefined extension. 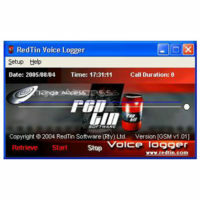 The person receiving a call from the door panel can speak with the visitor and open the door from his telephone extension by pressing a particular key. Opening the door from the inside is possible by pressing a bypass push button. 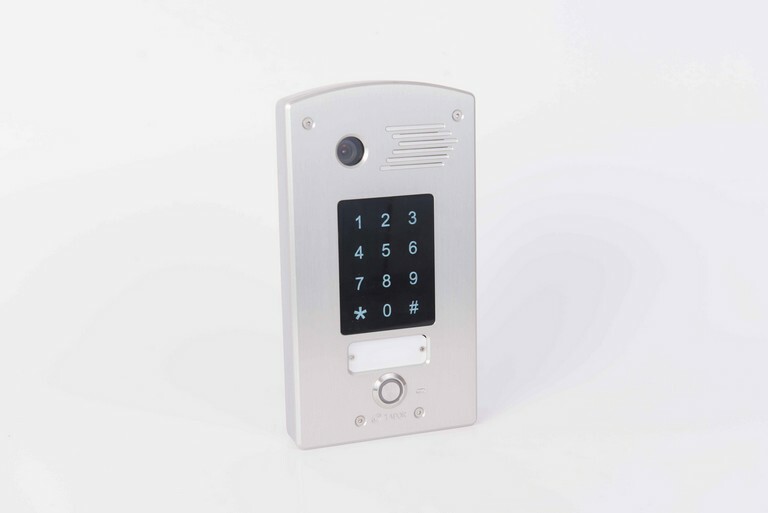 The Piezo Multibutton doorphone will unlock virtually any electric door lock, electric door strike, magnetic door or gate. 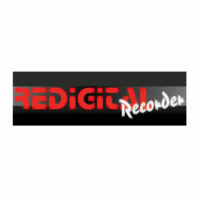 It can be plugged into a PBX analog extension or an IP extension via an ATA (analog telephone adaptor) and can be programmed or operated from any phone connected to the PBX. 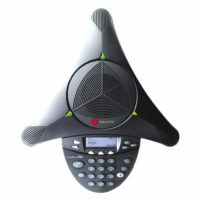 The Tador Touch Analog Codephone unit is an intelligent telephone connected to a PABX, mounted on office entrance which enables visitors to call to a predefined extension. The person receiving a call from the door panel can speak with the visitor and open the door from his telephone extension by pressing a particular key. Opening the door from the inside is possible by pressing a bypass push button. 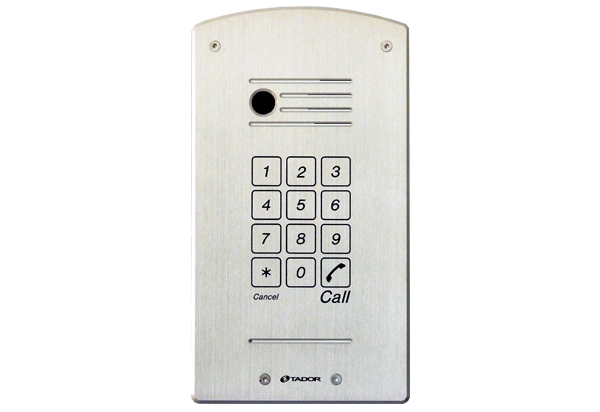 The Tador Touch codephone will unlock virtually any electric door lock, electric door strike, magnetic door or gate. 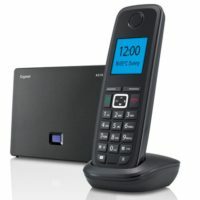 It can be plugged into a PBX analog extension or an IP extension via an ATA (analog telephone adaptor) and can be programmed or operated from any phone connected to the PBX.